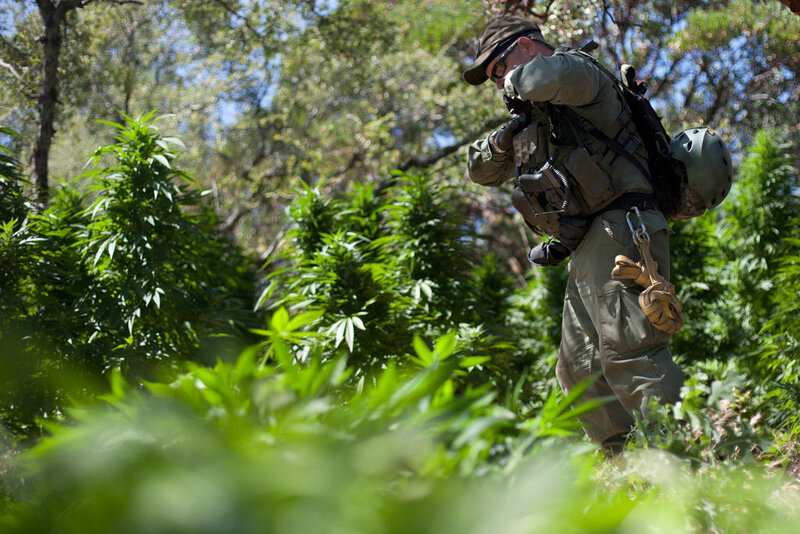 After $22.8 million dollars’ worth of outdoor weed was found in a Bay Area reserve, it’s easy to see why so many Californians love getting back to nature. 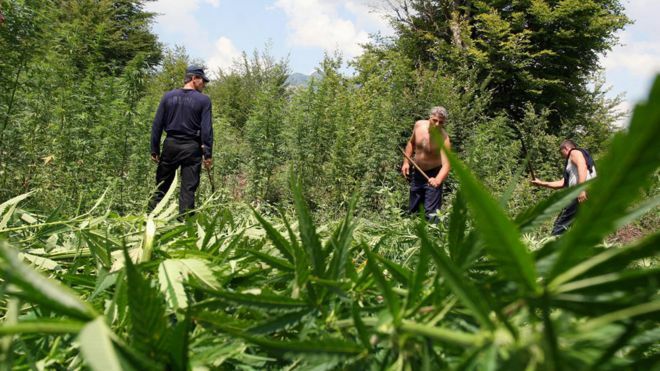 Last Thursdays, authorities announced the removal of thousands of cannabis plants from illegal grows sites, on both public and private lands, in San Mateo County. The haul came as a result of a two-month-long “Campaign Against Marijuana Planting,” netted 11,400 plants with a combined street value of $22.8 million, according to the San Mateo County Narcotics Task Force. Eradicate large-scale grow sites on public and private lands that cause deforestation, damage wildlife habitats and pose a danger to residents. The authorities said the grow sites that were on San Francisco Water Department and Midpeninsula Regional Open Space District property were well hidden. As a result of the seizures, four men were arrested: Joaquin Sanchez, 38, and Joel Ochoa Sanchez, 32, both of Redwood City, and Juan Farias Galeana, 28, and Jose Antonio Mendoza, 26, both of Michoacán, Mexico. According to the San Mateo County District Attorney’s Office, the suspects dammed a creek and diverted the water into a man-made pool, which was used to irrigate grow sites in the Skyline Ridge Open Space Preserve. The authorities said they also found well-supplied camps near the sites. Two of the suspects, Galeana and Mendoza, pleaded no contest to misdemeanor stream diversion charges. The two received 18 months of court probation and were ordered to repair the environmental damage, as well as serve eight and five days in jail, respectively. Last Monday, Joaquin Sanchez pleaded not guilty to unlawful cultivation of cannabis, which is a misdemeanor charge (and he is out of custody on a $10,000 bail bond). Joel Ochoa Sanchez also is charged with unlawful cultivation, along with resisting arrest and assaulting a police animal, and is scheduled to make his first court appearance September 1.